Customer centricity is something we all intend to do–it sounds like it means being “into” your customers. You are interested and focused on them right? Well, not really. 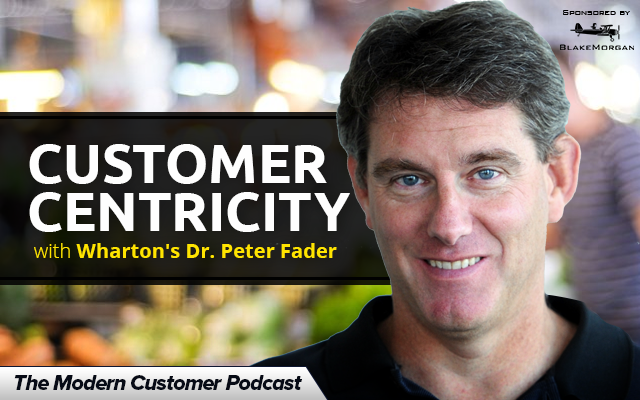 Customer centricity as defined by Dr. Peter Fader of Wharton might be different than what you think. I saw Dr. Fader speak at the 2nd Annual Customer Centricity Conference–there was a debate with the audience around the purpose of a brand. It quickly became clear everyone disagreed about customer centricity especially as it relates to the purpose of a brand. According to Fader, customer centricity is when the brand identifies the most valuable customers and surrounds them with relevant products and services.